If you’re faced with more personal debt than you’d like, and your monthly bills are constantly eating into your hard earned wages, it’s time to take a serious look at your finances and begin paying off your debt as fast as possible. Credit checks can be found for free, and before you employ one or more of the techniques below, you’d be well advised to check your credit score first. Apply for too many credit cards and you may get rejected and suffer a penalty to your credit score. If you can be disciplined, credit cards are the best way to repay debt. There are many, many options to apply for a new card that offers zero interest rate on balance transfers for up to 24 months. 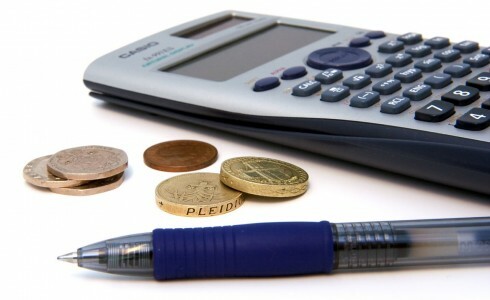 Even if you are paying interest, it’s often considerably cheaper than other forms of borrowing. Once you’ve received a credit card, make sure you transfer as much of your debt to it as possible. If you can’t find a new card, you might be able to transfer several debts to an existing card at an agreed rate that’s lower than your currently paying (for an overdraft etc). The interest you’ll save as a result of juggling your finances could be huge. Just make sure you don’t use the card to build up more debt. Your home utilities might not seem like an area that’s open for some debt reduction, but with a combination of switching tariffs, and investigating grants in your local area, you might be able to make a saving. After you’ve exhausted credit card options, you might want to look at consolidating your debt into a single personal loan. If your credit score isn’t good, the rates may not be favourable, but you’ll have the bonus that the fixed repayments make paying back the debt faster than a minimum repayment credit card. Many people don’t like to use their hard earned savings on repaying debt. This makes absolutely no sense. If the interest on your debt is three or four times higher than the interest on your savings, then you’re effectively paying money to a credit card company or bank for absolutely no reason! Reducing personal debt takes a great deal of discipline and tenacity, but if you can stick to your plan, and gradually reduce your outgoings, your quality of life will vastly improve. Harry Price is a writer and entrepreneur. He never went to university and said co-running his family business has taught him everything he needed to know before taking the leap into entrepreneurship.